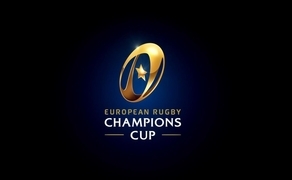 Champions Cup semi-final will air on Virgin Media One. Virgin Media Television has secured the rights to broadcast Leinster’s Champions Cup Semi-Final against Toulouse on Sunday 21st April 2019. The broadcaster has revealed that it will air the semi-final on its free to air terrestrial platform, Virgin Media One. Leinster will return to the Aviva Stadium for the Semi-Final after Toulouse beat Top 14 rivals Racing 92 in their Quarter Final. Highlights of Munster’s Heineken Champions Cup Semi-final against Saracens will also be broadcast on Virgin Media One. Further broadcast plans will be announced in due course. Live coverage of Leinster v Toulouse, Champions Cup Semi- Final will air on Virgin Media One on Sunday 21st April 2019.